The old proverbial "What's under a Scotsman's kilt ??" may no longer be a mystery. A kilt-hire company insists underwear must be worn by men for reasons of hygiene. Though no mention of of women ? I always thought they dry-cleaned kilts or suits between hirers. ..before anyone asks, there's nothing worn under my kilt...everything is in fine working order ! do women go commando when they wear kilts as well then? I've never known a woman to go commando..knickers were always in order ! Nicholas Scotswomen shouldn't wear kilts ! Last edited by MacScot; Feb 16th 2009 at 9:27 am. I once went out with a cracking scottish lass, she was a rehead upstairs and a blonde downstairs. none mate, she was pure scots and all natural. 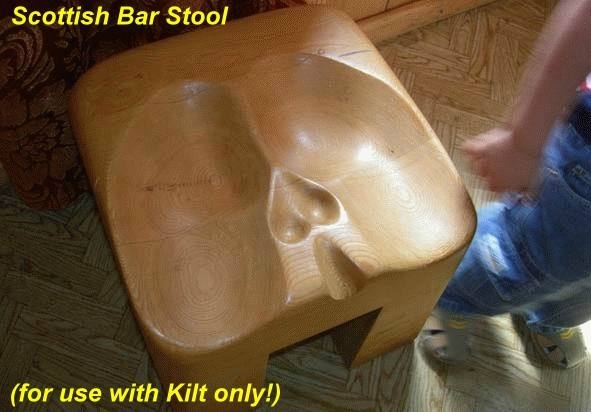 Do you reckon you could catch an STD from a kilt ? Possibly crabs ?